Mimi's French Toast There are 3 products. Strawberries & Creme: Fluffy and delicious french toast stuffed with creme and smothered in sweet strawberries. Peaches & Creme: Fluffy and delicious french toast stuffed with creme and smothered in juicy peaches. 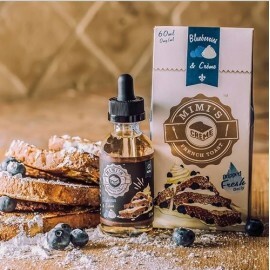 Blueberries & Creme: Fluffy and delicious french toast stuffed with creme and smothered in blueberries. Email: customerservice@bestvapesale.com *Bestvapesale.com only sells to adults who meet the minimum legal age (21 or Above) requirement to purchase our products.